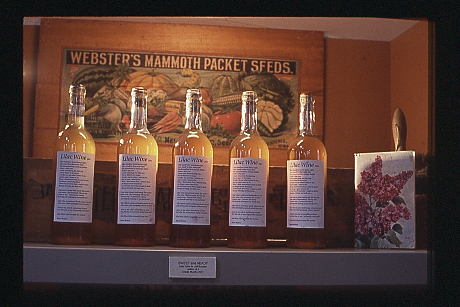 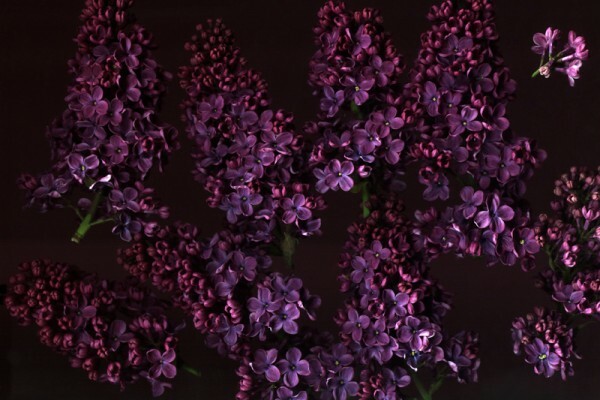 ‘Sweet & Heady’ was inspired by Jeff Buckley’s poignant version of ‘Lilac Wine’. 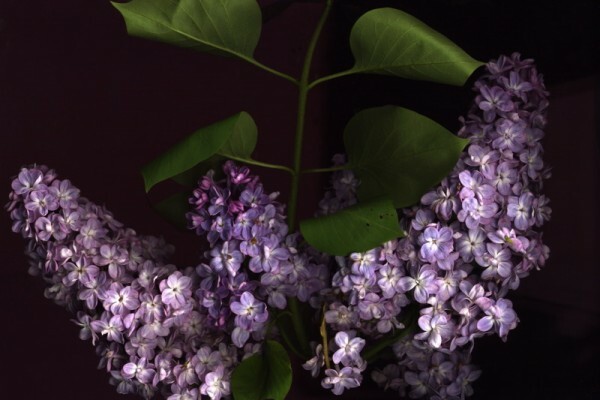 A gifted musician, whose voice expressed some of the extremes of fear and ecstasy associated with falling in love, he died prematurely in a tragic accident in the Mississippi River in May 1997. 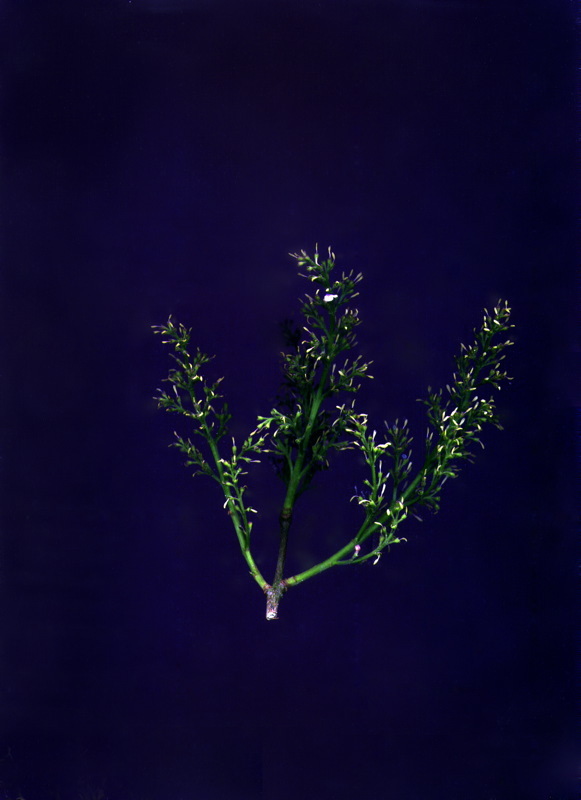 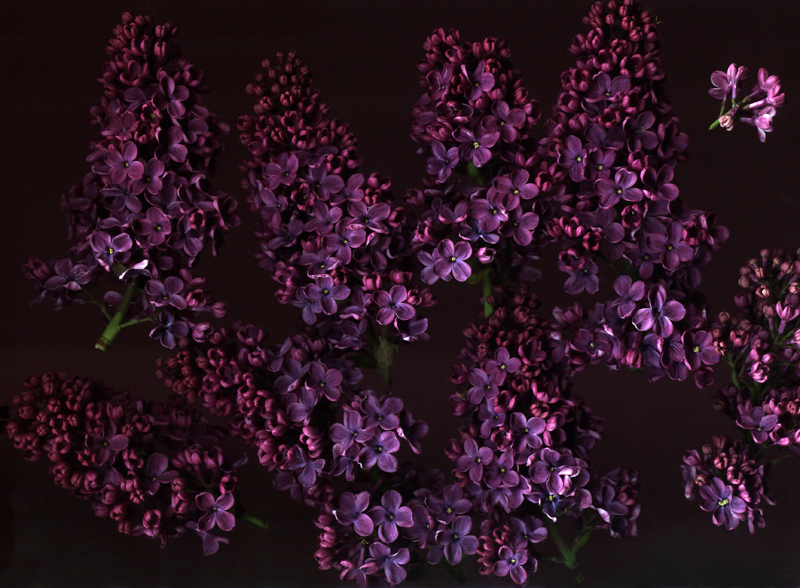 The work consists of a series of limited edition wines and rich photographic prints. 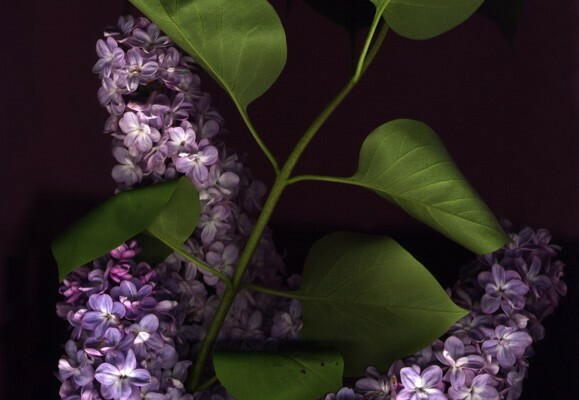 Created in cyclical personal homage, this work revels in romantic ritual; stealing lilacs from gardens, parks and hedgerows, wallowing in perfume and colour, steeping the flowers and fermenting them to create limited editions of wine. 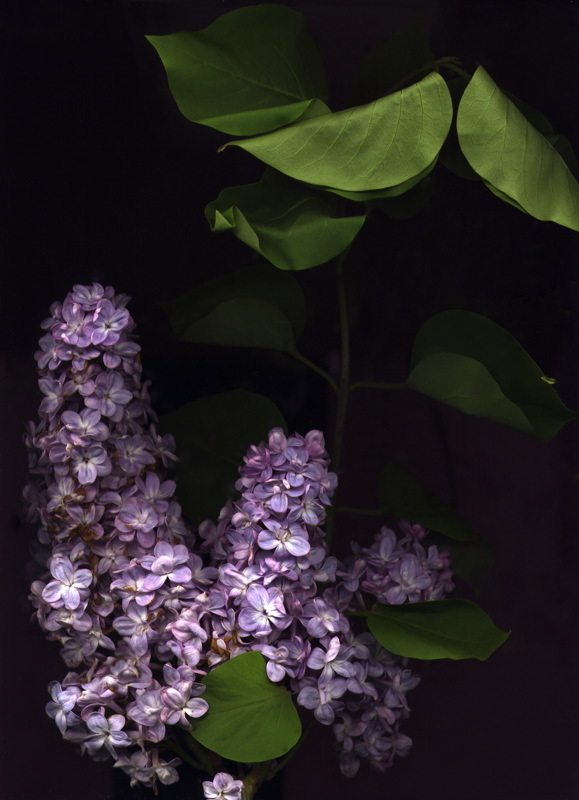 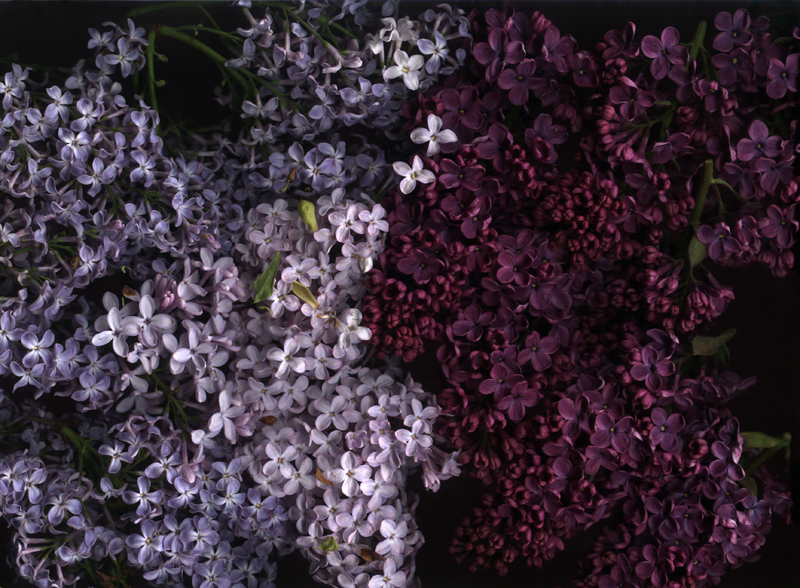 This sumptuous series of photographic images document the lilacs gathered for the wine making process – stolen from a wide variety of parks, gardens and hedgerows around the places where I live, work or visit in Spring. 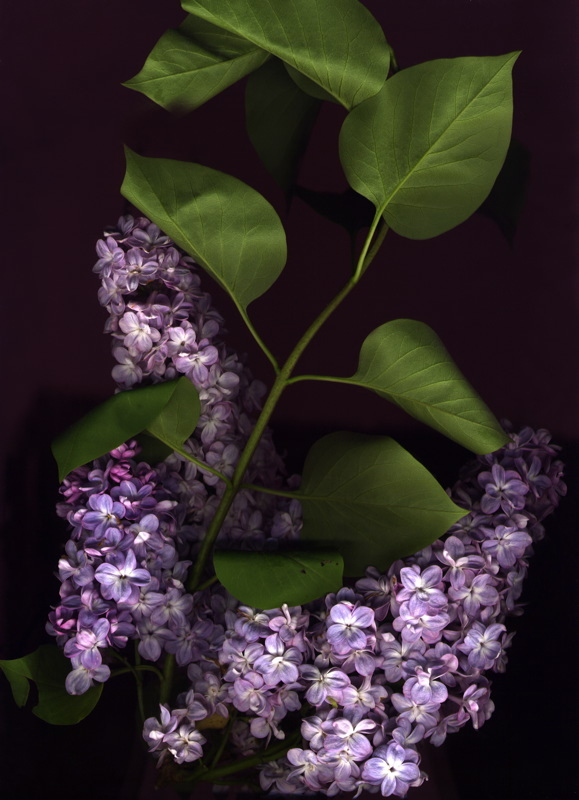 Contrasting the raw intensity of colours and soft velvety textures of the petals with the forlorn, shawn stalks of the bare stems, this series of small, jewel like prints emphasise the beautiful, ethereal qualities of the violets and deep purples – colours which are the most difficult for the eye to discriminate – as the shortest wavelength in the light spectrum. 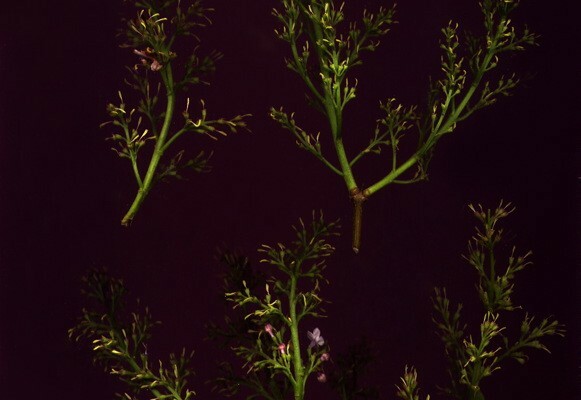 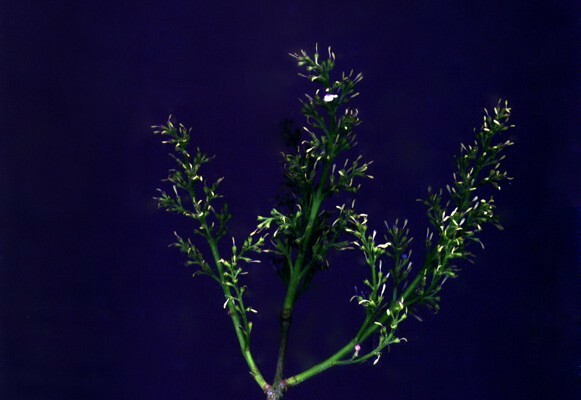 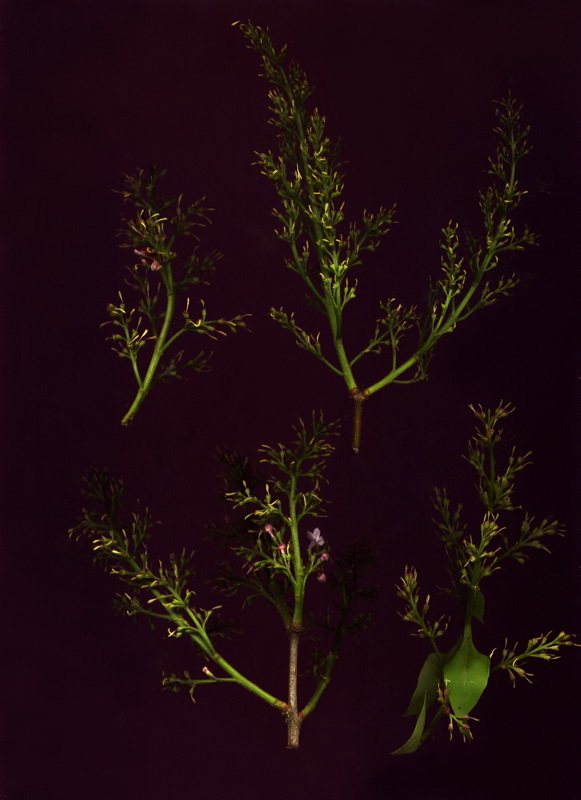 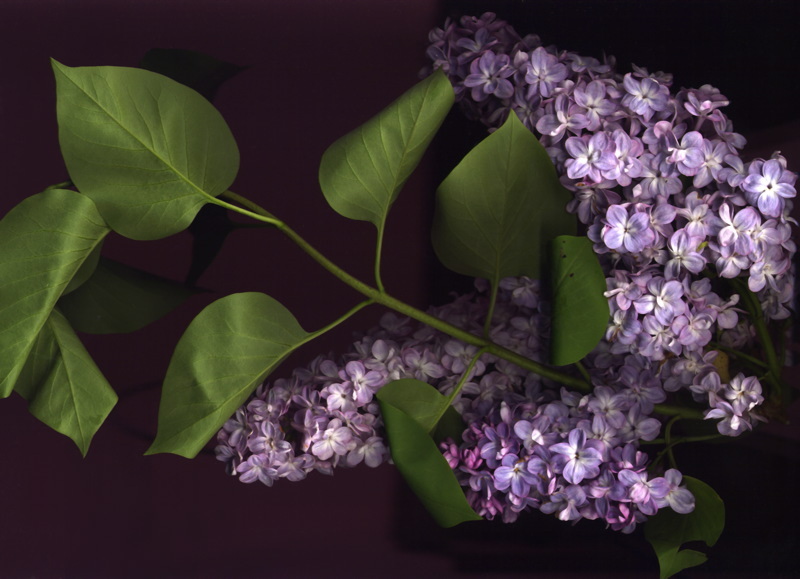 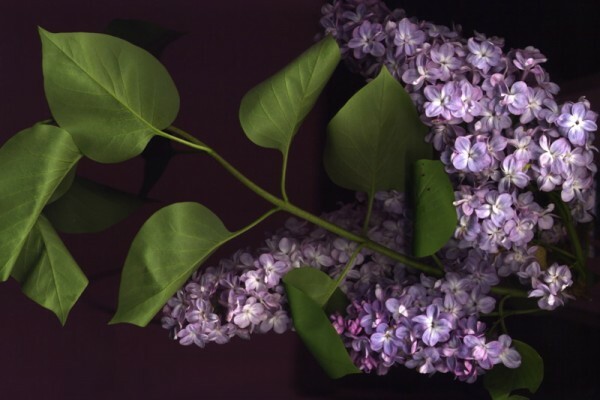 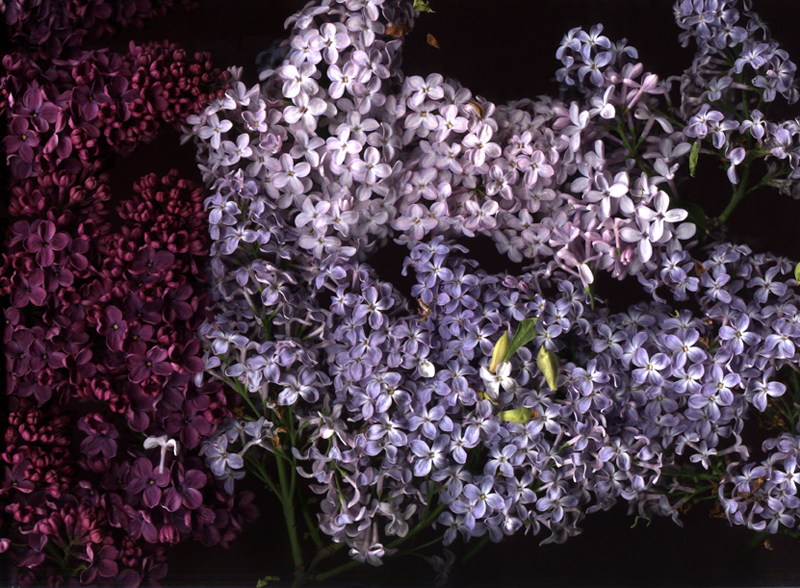 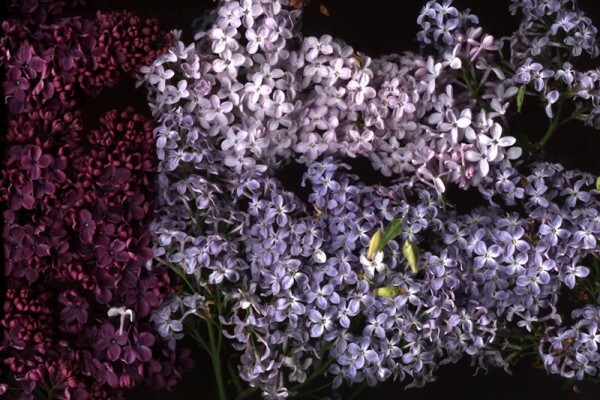 The flower heads are directly scanned to capture the wide variation of the colour across the lilac species – and to bring out the subtlety of their delicate textures before and after the flowers have been stripped. 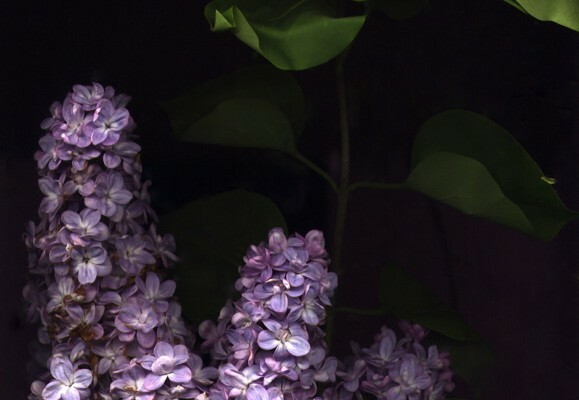 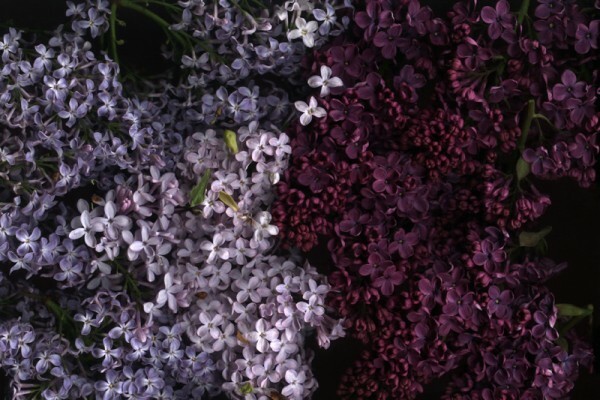 Frequently considered a harbinger of Spring, Lilac is an aromatic shrub whose purple flowers are thought to symbolise the first ardent emotions of love, whereas it’s white blossoms are associated with youthful innocence. Brought to Europe from Persia in the 1500s, Lilacs (Syringa Vulgaris) have been long been revered for their heady perfume, produced by their abundant clusters of flowers.